As British airmen and other troops, captured by the Japanese in Java during the Second World War, fight for their very existence against all the odds, their hopes of release are raised again and again, only to be dashed once more. Weakened by three and a half years of struggle, fully aware of the rapidly rising death rate caused by starvation, and pushed to the limits of their endurance during the daily working parties, can they hold on, knowing that the end could be near? 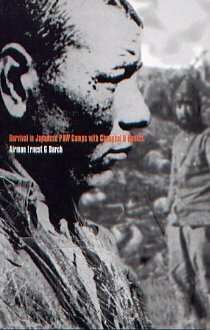 Great heroism was displayed but the author does not hesitate to describe the less honourable and ugly side of Japanese POW life: "It's warts and all." If the Allies move westwards from British North Borneo towards Kuching during the summer of 1945, as the Japanese anticipate, the recent examination and classification of surviving prisoners of war could lead to mass extermination and all their efforts to stay alive will have been in vain. Unknown to them, the atomic bomb is about to be used over Japan. Will it happen in time to save them from this final threat?